OPPO’s flagship dual selfie phone, the F3 Plus, is now available in stylish matte black variant – matching the sophisticated city lifestyle that goes with any outfit. “A camera phone made for the urban warrior deserves a color that not only captures the cool street-smart look, but still gives users a sense of luxury,” Stephen Cheng, OPPO Philippines Brand Marketing Manager, said. Originally offered in gold variant, the smartphone giant knew that nothing shows urban style better than the color black. However, both variants are designed to capture life’s best moments through its 16-megapixel + 8-megapixel selfie camera system. The F3 Plus dual selfie camera is equipped with a 6P element lens with 120-degree wide angle to shoot perfect group photos, too. For flawless results, both front cameras also use the brand’s Beautify 4.0 photo editing software to clear out unwanted blemishes. Aside from this, its 16MP rear camera comes with a Sony IMX398 sensor that delivers fast focusing speeds to quickly capture clear photos even in low-light scenarios. 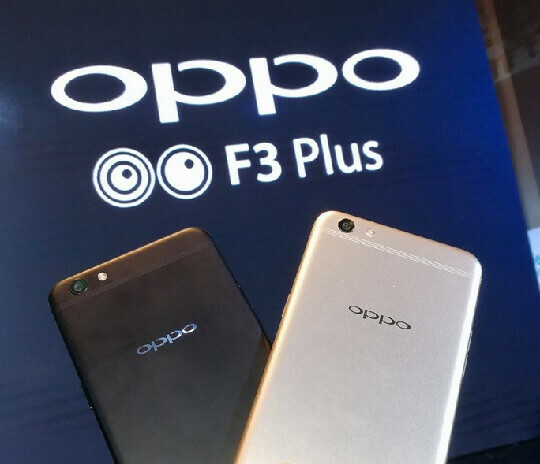 The OPPO F3 Plus Black is available in selected concept and dealer stores nationwide. For more details, visit https://www.facebook.com/OPPOPH/ or log on to http://www.oppo.com/ph/index.html.